Make Any Analog Watch Smart! Free companion app for the E-Strap. Built by the watch industry experts that created the Horological Smartwatch, E-Strap is a logical next step to add smart functionality to existing analog watches. 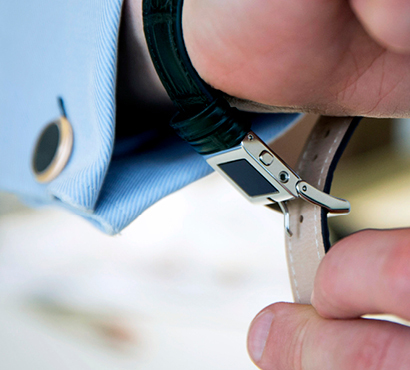 The ultra-small buckle extension can hardly be seen, as it is thin and covered by the leather strap. Make no mistake however, the patented E-Strap is built on the full MMT Smartwatch Platform and has its sophisticated functionality. 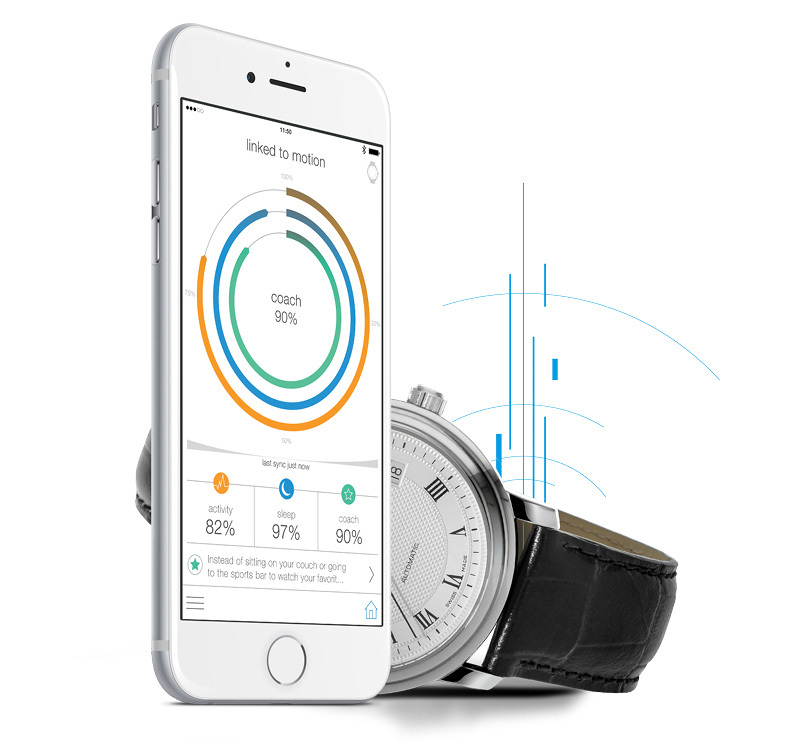 The same MMT-365 Apps that accompany Horological Smartwatches is available to watchmakers’ E-Strap customers. E-Straps track ACTIVITY with GET ACTIVE ALERTS as well as MONITOR SLEEP with SMART SLEEP ALARMS. Get it on the official Alpina Webstore. Unlike common silicon fitness bands, the E-Strap has a unique horological finish that preserves the authentic look of your favorite analog timepiece. E-Straps will be available with beautiful leather straps in a variety of materials and colors. On the iOS and Android apps, simple and easy-to-understand graphics highlight how much one has moved and slept during the day, week, or month. 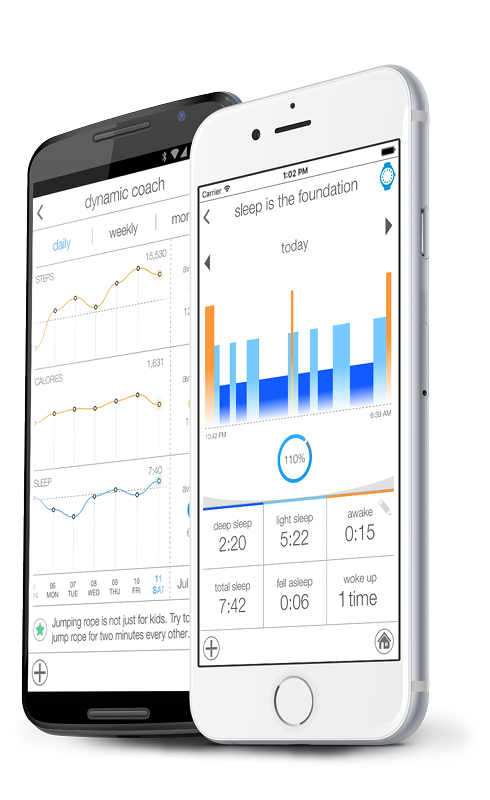 This data will assist users to better understand themselves, and along with appropriate goals setting and intelligent coaching, will improve their well-being. A better sleep pattern and a more active lifestyle are widely recognized as simple, but effective, positive behavioural changes. Although one spends a third of their lifetime sleeping, people are rarely aware of their sleep patterns and of the various ways to improve them. The Swiss Horological Smartwatch provides a comprehensive summary of its user’s daily sleep progress. The E-Strap’s open platform is a leap forward, helping users get a proper grasp of their movement and analyse their daily activity. The system is based upon recording and examining millions of nights of sleep, and years of research and development on the biomechanics of instinctive human motion. Whether one is sleeping or awake, the E-Strap traces accurately the sleep and activity information using patented advanced sensing technology. Discover our apps for the horological smartwatch.